The Supreme Court today partially relaxed some conditions on banning liquor vends along national and state highways only for small towns with population less than 20000. In such places no vends will be allowed within a distance of 220 metres from the highways. The earlier distance limit was 500 metres. States where existing liquor licence permits are valid beyond April one can continue to operate till September 30, 2017 but not beyond, the bench headed by Chief Justice J S Khehar said. Significantly, rejecting Attorney General Mukul Rohatgi’s opinion, the bench significantly said that there will be no exemption from the rule to hotels and bars . It is to be noted that Attorney General Mukul Rohatgi, based on whose opinion states like Kerala had sought review of the judgement, had argued that the order banning liquor vends on state and national highways does not apply to hotels and restaurants that serve alcohol. The state governments had strongly opposed the ban citing huge loss of revenue. The bench noted that the object of stopping drunk driving will be diluted if distance ban was restricted to only vends and so bars, pubs and restaurants on highways should also come under ban. 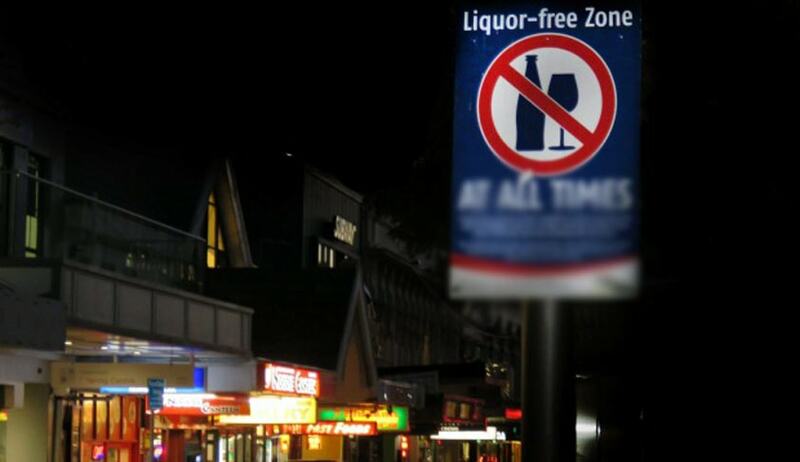 The bench also exempted Sikkim and Meghalaya from its order to ban liquor vends within 500 or 220m due to its unique topographical constraints. The distance in Himachal has been reduced to 220 metres. A bench headed by Chief Justice J S Khehar was delivering verdict on petitions filed by Kerala, Tamil Nadu Punjab and Telangana and All Assam Indian Made Foreign Liquors Retailers' Association seeking modification of the apex court’s December 15 order directing closure of all liquor vends operating within 500 metres of state and national highways holding them as a prime reason for fatalities caused by drunken driving. "We will not shut you out. We will hear you tomorrow also. We are giving ourselves some time. We need to take a conscious decision. We want to ponder if we should do it and how to go about it etc" Chief Justice J S Khehar heading a bench also comprising of justices L Nageswara Rao and D Y Chandrachud had earlier said. AG Mukul Rohatgi, Senior Advocates Rajeev Dhawan and Abhishek Singhvi appearing for various states and liqour vendors said earlier order was not data or research based. "Rest assured we do not want to be any impediment in your earning revenue. But drunken driving...a person driving is dead and gone. Imagine about his family. We are not against revenue earnings by you. But suggest some alternative. We want to balance it", the court had earlier said. Yesterday just before reserving the order Attorney General Mukul Rohatgi submitted before a bench headed by Chief Justice J S Khehar that the December 2016 verdict required a re-look. He said that the December 15, 2016 verdict will have its repercussion as the budget of every states will go for a six. Rohatgi said national highways and state highways cannot be compared and what can be considered for the former cannot be considered for the latter. “All of India cannot be compared. Some towns in totality are situated along the state highways and if you say that liquor vends cannot be allowed in the vicinity of 500 meters then where will they go, he told the bench, also comprising Justices D Y Chandrachud and L N Rao. He further said, Some exception can be granted to the states to relax the condition especially as far as the state highways are concerned by reducing the limit say to 100 metres. To this, the bench asked the attorney general to address it on the issue if he thinks the verdict is not justified as the parties have done nothing since December 15, 2016. You cannot come at the last moment and say that relax the conditions. Where were you after December 15, it said. A battery of lawyers appearing for several private parties said there was a need for extending the deadline of April 1 and sought modification of the order in terms of what was argued by the attorney general.